On Tuesday, November 8th the pre-conference workshops will kick off! The 2015 workshops were very well received and this year the workshop sessions were designed to go even more in-depth based on feedback from last year’s attendees. Tasting Room Management – read below! We hope you will join us for both the morning and one of the afternoon sessions! This year’s tasting room management workshop is set up a bit differently. Attendees will learn best practices for leveraging an ideal blend of technology and processes to convert first-time visitors into loyal customers and club members. A “tasting room management checklist” will be provided with five improvements that can be implemented the very next day. The workshop will be led by Sandra Hess, the founder of DTC Wine Workshops, which supports wineries of all sizes in the areas of e-commerce, CRM, DTC Strategic Planning, and Training Services. Assisting Sandra will be tasting room pros Jesse Barter, General Manager of 4.0 Cellars; Anthony Harvell, Director of Sales and Operations for William Chris Wines; and Sabrina Houser, owner of Dry Comal Creek Vineyards. Can you paint us a picture of what a successful tasting room should look like? A successful tasting room is filled with engaged customers, club members and first-time visitors enjoying a variety of tasting experiences. Consumer demand is shaping the way wineries throughout the nation are updating their tasting options. Millennials are showing a great interest in wine exploration and want more education and high-impact experiences when visiting wineries. Loyal club members and long-term customers expect to be treated like VIP’s when visiting the tasting room and in many cases are looking to make an advance reservation or enjoy a club member lounge space. The key ingredients to managing a successful tasting room is having the right people and systems in place. 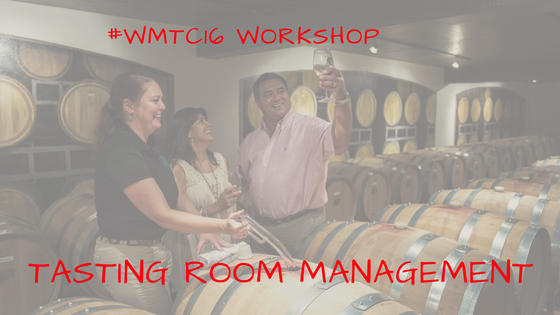 In the Tasting Room Management workshop at the Wine Marketing & Tourism Conference on November 8th, the top five tools for managing a successful tasting rooms and growing direct wine sales will be revealed. Can you tell us a few mistakes that wineries make in setting up what they perceive as a good tasting room environment? While creating a sense of demand is great for selling more wine, tasting room managers who aren’t mindful of managing guest experiences will lose out on repeat business. Most of us have been in a crowded tasting room where it is difficult to event get up to the tasting bar let alone get our hands on the first pour. As direct to consumer wine sales now represents over $2 billion in wines shipped and consumers want more from their visits to tasting rooms, it is essential for tasting room managers to map out guest experiences and have a solid plan in place. To maximize use of space and ensure that both first time visitors and repeat customers are welcomed properly and treated with care, the proper mix of staffing and tasting spaces need to be in place. More will be revealed around the top mistakes to avoid in our workshop session. When looking at smaller wineries, what is the most important factor they should be investing in when developing a plan for setting up their cellar door sales? Smaller wineries have the opportunity to have meaningful conversations with tasting room visitors that can lead to long-term and loyal customers relationships. The most important factor in building a successful direct to consumer sales division is to listen to customer feedback and match tasting experiences and events that appeal to the interests of most. Training the tasting room staff to first offer excellent hospitality and the wine experiences will ensure that customers keep coming back. Documenting key data through the POS and CRM systems doesn’t need to be cumbersome but is critical in staying connected to repeat customers and club members. We will be sharing case studies around how small wineries are leveraging the right tools to grow direct sales in this hands-on workshop session. 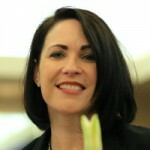 Sandra Hess is the founder of DTC Wine Workshops, which supports wineries of all sizes in the areas of e-commerce, CRM, DTC Strategic Planning, and Training Services to grow direct to consumer wine sales and retain loyal customers. Prior to joining the wine industry, Sandra served small to mid-sized businesses as well as global corporations in the areas of CRM software, website design, online marketing, public relations, compliance management and workflow automation solutions. We have great attendance numbers already for #WMTC16 and look forward to seeing many exciting wineries, DMO’s, tourism agencies, tour operators and wine writers in Texas this coming November! Have you registered yet? The workshop is three hours long, so there will be many outcomes and we won’t have any summary from it we can send you.